With Smart OCR Pro you can use custom dictionaries in order to improve OCR quality for text with special terms, abbreviations and proper names. From the Tools menu, select Custom Dictionaries… option. 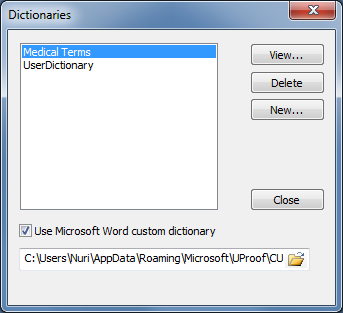 The Dictionaries dialog will be displayed. Using this dialog you can create or import new dictionaries, edit or delete existing dictionaries and integrate Smart OCR Pro with MS Word custom dictionary.